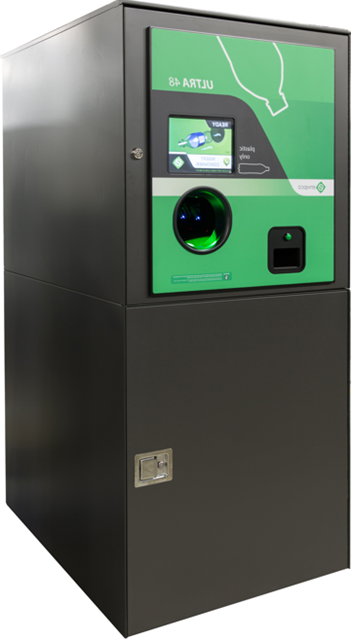 What is Reverse Vending ? The Term refers to consumers inserting an empty single use PET bottle or drinks can into a vending machine and getting a cash return i.e. a reverse of traditional beverage vending machines. The technology to do this is very advanced and relies on laser and camera technologies to 100% identify and count all types and sizes of beverage containers. In what markets is Reverse vending used? Traditionally in legislated bottle deposit markets where consumers return empty containers to retailers/stores to reclaim the deposit they paid when the full goods were purchased. High resolution colour LCD provides clear and easy to read graphics and text. Ring scanner container identification system literally wraps around the container providing ULTRA fast container recognition. Red and green indicator LED’s change colours to indicate machine readiness. 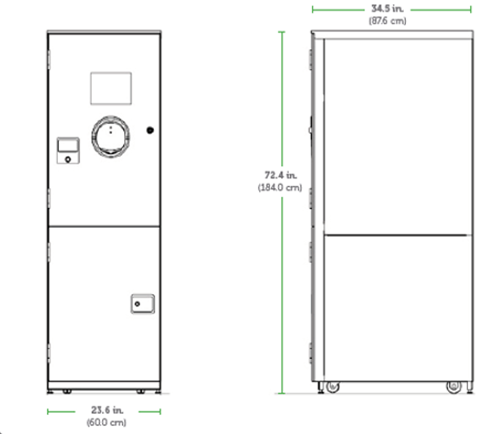 48” (122cm) high in-feed and receipt dispenser. Well within arms reach for individuals in wheelchairs or motorised shopping carts. Increased storage capacity reduces bin changes. Set your business above the competition and meet ADA compliance requirements by serving the special needs of all consumers. An efficient, easy to use, cost-effective way to handle empty beverage containers. 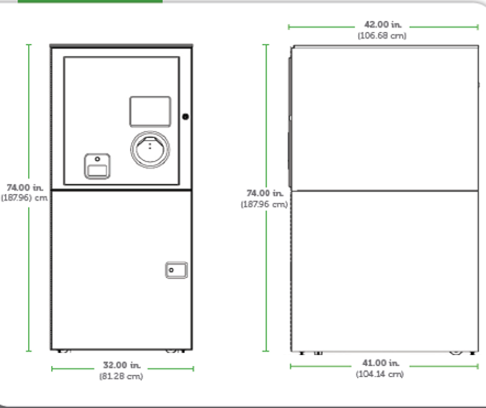 Its compact size and low cost means it will fit your location and your budget. Plus, the breakthrough compaction delivers the industry’s best container densification – allowing for 900 container storage! High resolution colour LCD provides clear and easy to read graphics. Roll into position and plug in! Scratch resistant upper door with attractive colour and surface. Appeals to consumers and simplifies maintenance. Inside installations store between 6,000 and 10,000 containers. Outdoor configurations can handle up to 60,000! Bespoke branding is available on our machines to match your company. A 17″ high-resolution color LCD provides simple instructions with graphics and text. The Quantum also offers a touch-screen option. Customers never have to touch the containers. They just empty their bags into a large tray and the RVM does the rest. The tray also comes with an easy-to-clean insert, making life easy for the maintenance personnel. Multiple cameras and sensors recognize eloigible aluminium and PET containers and track them to ensure redemption accuracy. A guided air jet array ensures precise sorting and rejects full containers and other heavy unwanted items. 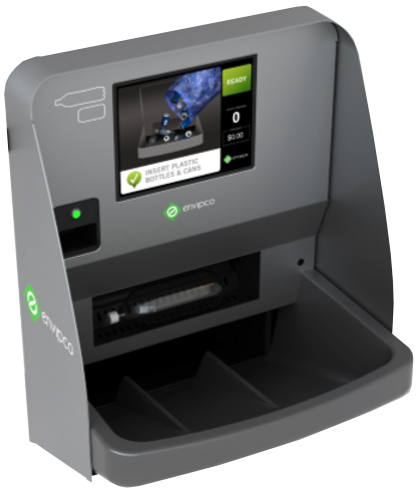 Customers can be given the option to donate to charity by using a button on the front of the machine, they then receive a thank you receipt and the monetary value is forwarded to the charity periodically.